Six-month-old Elias was diagnosed with an incredibly rare immune disorder called NEMO deficiency syndrome. It’s so rare that he is only the 22nd person in America to be diagnosed with the disorder. Elias is in desperate need of a bone marrow transplant from a donor of Greek descent and currently has no match on the registry. Time is of the essence for Elias, who is kept in sterilized isolation to prevent him from coming in contact with even the most minor of illnesses, which for him could be fatal, his mother Evelyn Argirokastritis said. Doctors are especially worried that it is the season for RSV, or respiratory syncytial virus, Argirokastritis said. “If he were to get the respiratory infection that’s going on, it could be lethal,” she added. The family feels “helpless” that they are not a match and “can’t do anything” for Elias, Argirokastritis said. 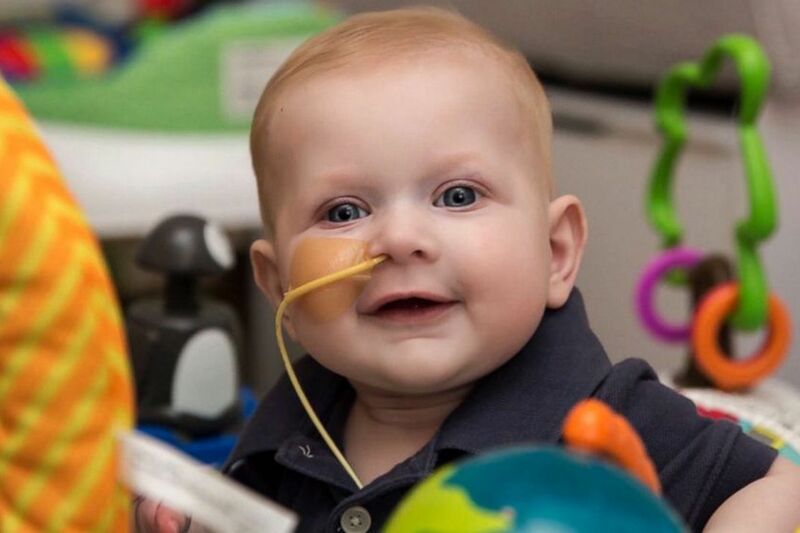 After none of Elias’ extended family turned out to be a match either, Argirokastritis turned to Be the Match, the national registry for bone marrow donations. Now, the family, who lives in Macomb County outside Detroit, is hosting “Be the Match” events in Detroit to help expedite the search. All that’s needed to see if you’re a match is a few swabs from a kit and about 20 seconds. “He needs just the smallest amount of bone marrow from you to help him live a full life,” Argirokastritis explained. The mother is pleading with potential matches to get tested to help save someone’s life. The test is simple and only requires a swab of saliva from inside the mouth. Sign up at Be The Match. What I wouldnt do for you my love! Thank you everyone for continuing to share our story! Hoping to find a match for Elias soon and with all our efforts feeling positive we will! Thank you to Shelbie Rose Photography for taking this photo and the amazing photos of my little man recently! She’s amazing! Τι δεν θα έκανα για σένα αγάπη μου! Σας ευχαριστούμε όλους που συνεχίζουμε να μοιραζόμαστε την ιστορία μας! Ελπίζοντας να βρούμε ένα ταίρι για τον ελάιας σύντομα και με όλες μας τις προσπάθειες να νιώθουμε θετικά θα το κάνουμε! 6 ΦΕΒΡΟΥΑΡΙΟΥ 1982: καταργήθηκε η μπλε σχολική ποδιά! Τα εγκλήματα πάθους που συγκλόνισαν την Ελλάδα! Σήμερα γιορτάζει η Αγία Παρασκευή – Η προστάτιδα των ματιών! Σάκης Ρουβάς – Κάτια Ζυγούλη: Βγήκαν από το μαιευτήριο, αγκαλιά με τον γιο τους!